Who Is Liable for Medication Errors: The Physician or the Pharmacist? In some medical malpractice cases, there is no question where the error occurred. For example, if a surgeon removes a healthy organ from a patient’s body, it is clear whose mistake is the cause of the patient’s suffering. With medication errors, the liability is not always so clear-cut. 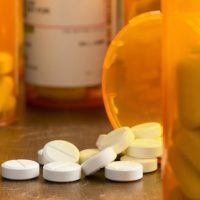 Especially with so many illnesses and deaths related to misuse of prescription drugs, it is important to know about the different types of medication errors that can be the basis of a malpractice lawsuit. In the United States, 7,000 people die each year because of adverse reactions to prescription drugs, equivalent to almost twenty deaths per day. In many of these cases, the patients were taking the drugs as directed by pharmacists or physicians. In some instances, courts have held pharmacists liable for negligence when they have improperly dispensed medicine or failed to inform patients about how properly to take the medicine, leading to the death or serious long-term ill health of the patient. The Florida Malpractice Statute outlines the duties of pharmacists toward their patients. You may have grounds for a pharmacy malpractice suit if you can prove that a pharmacist’s breach of his or her duty of care was the cause of the patient’s death or current state of disability. Dee vs. Wal-Mart was a 2004 case involving a woman who died after taking a painkiller that contained fentanyl. The physician had prescribed the drug to the patient after a Caesarean section. Since the prescription was refillable, the patient refilled it at a Wal-Mart pharmacy to treat pain unrelated to her Caesarean section. The pharmacist refilled the prescription without seeking a doctor’s authorization. The court held the pharmacist liable, since, had the pharmacist contacted the physician, the physician would have told the pharmacist not to refill the prescription. In the Powers v. Thobani case of 2005, a patient died from an overdose after frequently refilling her prescriptions for painkillers at two different pharmacies. The court found that, given the frequency of the patient’s refills, she could not possibly be taking the medication as prescribed. The pharmacists had a responsibility not to fill prescriptions for a patient who was clearly abusing the medication. Most adverse events related to medication are not the result of pharmacists’ negligence. For example, sometimes doctors’ prescriptions are for what is clearly the wrong drug or the wrong dose. Nurses or the hospitals where they work can be held liable if a nurse gives a patient an injection or IV of the wrong drug or one that was intended for a different patient. Some medication errors even occur on the part of manufacturers of medical devices such as insulin pens. Contact the Palmer Law Firm, P.A. in Tampa if you think you have a case related to a medication error. Attorneys Michael Palmer and Joseph Lopez handle medical malpractice and personal injury cases.